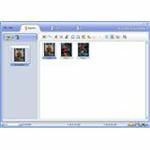 Ulead CD & DVD Picture Show 4 is a straightforward, simple-to-use photo slideshow creation package. To my disappointment, however, it was unable to run fully on either of my test machines. Do not buy this product without first trying the trial version to test compatibility. My first impression of Ulead CD & DVD Picture Show 4 was very positive. The UI walks you through making the slideshow step by step. It's so simple it's almost trivial. But then the crashes started. On my Windows XP machine, it was impossible to play a preview, and technical support were not much help. I also tried it on a Vista machine--previewing was possible, but often crashed when I used the DVD controls below the preview window. I also managed to crash PictureShow while trying to write a VCD and a handful of other times. In the end, I never successfully managed to burn a disc on either of my test machines running different operating systems. Thankfully, Ulead provides a trial version so you can test compatibility first. Straightforward installation with no extra software tagged on. The extras pack comes as a separate installer. The user interface is very clean and well laid out. It walks you though a simple wizard approach which works very well. Plenty of people have monitors that run larger than 1024 by 768, so why does the application window default to 1024 by 736 and not allow any resizing? The add photos dialog, which contains thumbnails, is also not re-sizable. This makes for quite a frustrating experience for folks with larger monitors. Several of the other dialogs (e.g., "Express fix") resize well, so I don't know why they don't apply this everywhere.When running under Vista the application switches the OS into Windows Basic mode. It would be nice to see a Vista-compatbile version that does not do this--it's quite annoying on slower machines. Ulead has both free phone and online support as well as an extensive FAQ and download areas for patches. You need to create an account on the Ulead website to get support which is a little inconvenient. While I was testing this application, I had crashing problems when previewing the movie. I searched the FAQ without any luck and applied the only patch I could find. I followed the uninstall/reinstall instructions from the FAQ before using the email support. I explained in the request that I had already followed the FAQ and installed the patch. As is usual these days, the support team scanned the title for the word "crash" and sent me a standard reply instructing me to uninstall/reinstall and then apply the patch. At least they did reply in the allowed 24 hours, even if it was a useless answer. Performance was satisfactory on both machines I tried it on. It's possible that with transitions and effects the rendering and burning will take additional time; however, the package warns you about this before proceeding. The application lets you choose burning speed so that you can trade off speed against reliability if you know your drive is suspect. For $40 you get the package, Ulead Photo Explorer, Ulead Disc Image Recorder, and Hemera 1000 Photo Objects as well as additional templates. Ulead CD & DVD Picture Show 4 can make both picture and movie slideshows and also take images directly from cameras. Once images are added to a slideshow, you can add titles and "props" (small themed bitmaps--think scrapbooking!) to each picture. There are a few editing tools, such as rotate and image correction, that do a good job in a very simple manner. Once you have all of the images loaded, the Theme step allows you to define background images, music and the DVD menu. There are about 30 templates, but you can also make your own menus. The final step is to create the slideshow--it's a single-step Burn process as long as you don't have any specific options to set. The application can make DVDs, SVCDs, and VCDs. There was no ability to crop a picture from within the tool. I was surprised to find that timing, transitions, and effects cannot be added at the slide level--you can set only one of each for the entire slide show. While this is a nice option for first-time users I expect more for a $40 package. Competing packages allow you to create slideshows in other formats such as websites and AVI files--this package only allows you to create slideshows on CD or DVD. Allow the ability to define transitions, timing, and effects on a per-slide basis for advanced users. Allow other types of output other than just CDs and DVDs. What looks like a nice package is marred by incompatibilities and customer support staff that doesn't read requests. If it works on your machine, then I think this has potential. But after my (limited) testing, I can't recommend you spend the money to try. If you are looking for a package that is simple to use and you are happy with your final output being only on CD or DVD, then it might be worth trying the free trial.